After ending its partnership with manufacturer Hyundai at the finish of the 2012 racing season, Rhys Millen Racing has announced that it will be putting its two Global Rallycross Championship-spec Hyundai Velosters up for sale on January 1. 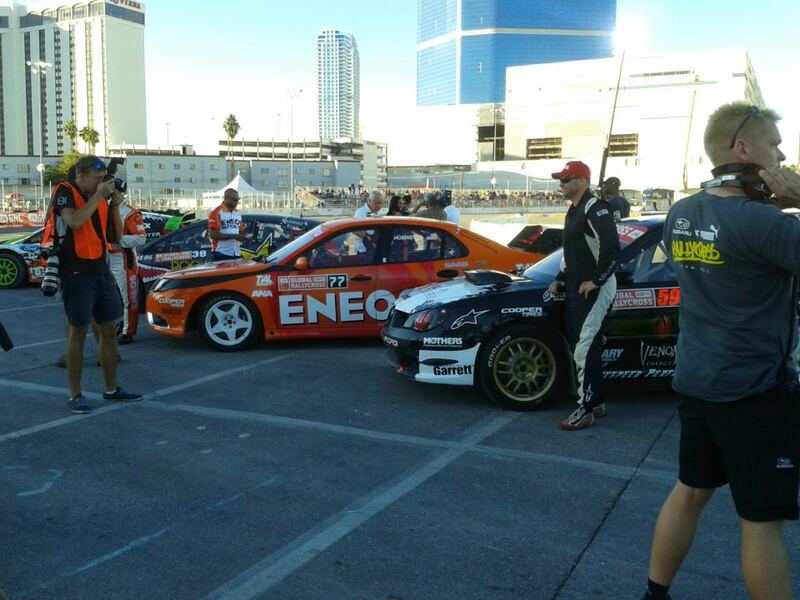 The two cars have competed in the past two seasons’ worth of GRC competition, and have seen Millen, Stephan Verdier, Marcus Dodd, and Robbie Maddison behind the wheel. Millen finished third and fourth in the past two GRC championships in the primary car, while Verdier took the second car to sixth in points after joining the team this year. The two RMR-prepared Hyundais made 11 combined starts this season, making nine main event appearances and scoring two podiums in the season opener at Charlotte and season finale at SEMA. Those results were good enough for second in the manufacturers’ championship, beating Subaru for the position by 19 points despite running two cars compared to Subaru’s three. 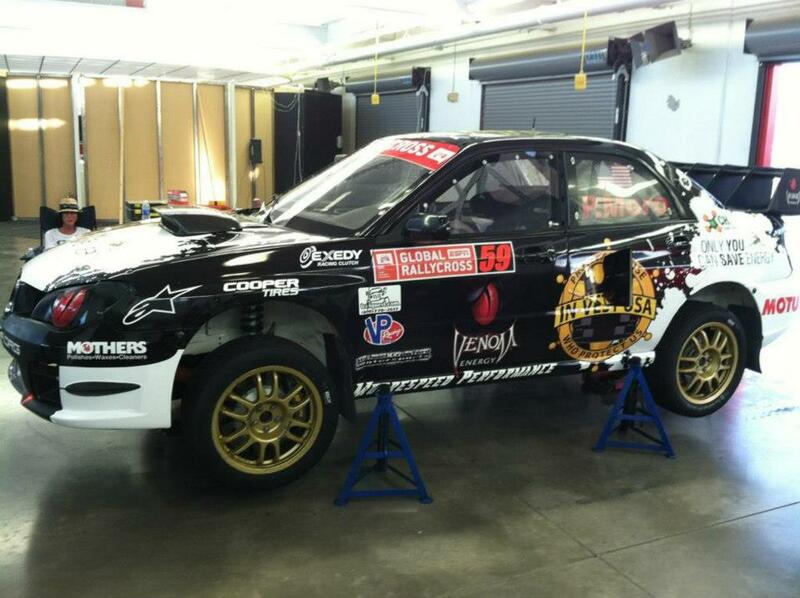 RMR is also offering a 2001 World Rally Championship-spec Hyundai Accent that had been purchased for rallycross spares. 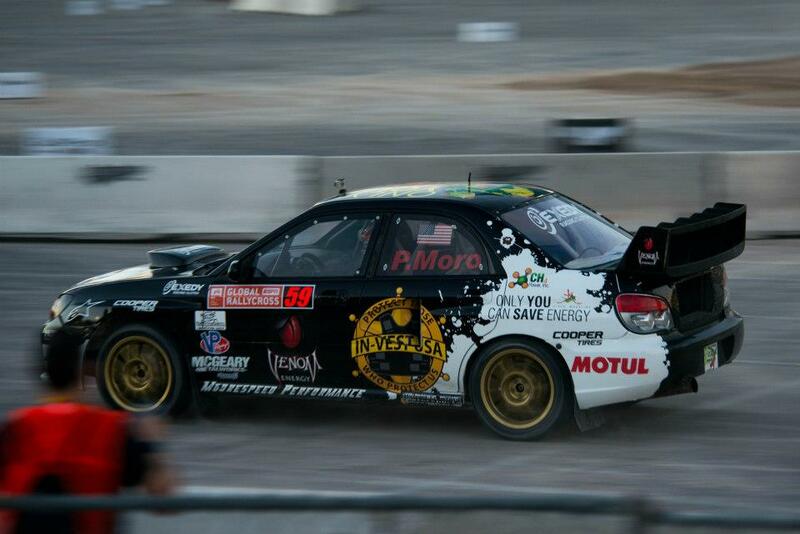 For Pat Moro and PMR Motorsports, the 2012 Global Rallycross Championship season represented an uphill battle. Running older equipment on a shoestring budget, positives were few and far between early in the season, especially when the team missed X Games for financial reasons. But not long after, the No. 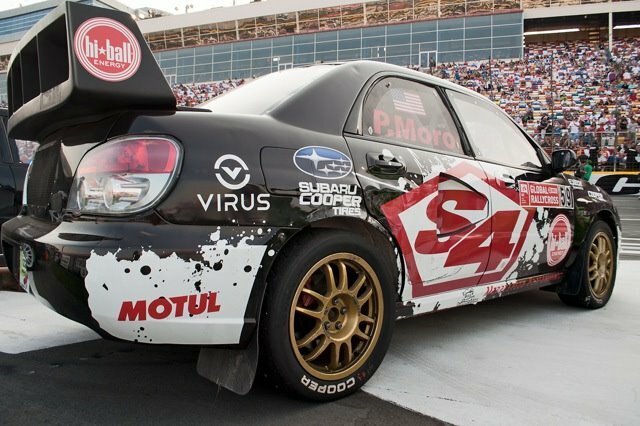 59 Subaru WRX STi, the result of PMR’s technical work and the marketing help of Michael Crawford Motorsports, began making strides towards competitiveness. Moro finished 12th in New Hampshire and 11th at Las Vegas, and was fast enough in its first heat race at SEMA to suggest that a main event appearance shouldn’t be too far off. You finished 16th overall in points, with a couple of strong heat and LCQ performances. Given the limited budget you had to run with, are you satisfied with what you were able to do? Or are you more frustrated that the budget didn’t allow you to be more competitive? I’m not really too satisfied with the performance—I think that we’ve had to be very cautious with everything. It’d be great if we secured a bigger budget moving into next year, that would be the biggest difference. I think that it’s a little rough to say, but we didn’t have the budget to do testing any of the dates before the races. We’d like to secure enough (of a) budget so we can go there a little bit ahead of time and do some. You hear about everybody else doing testing at this place or that place two or three days before the event and we just didn’t have the budget to do that. I think that’s a key part in making us run better. The other thing is, we really have to look after the equipment with the little budget that we have. And that kind of affects it. You know, with a factory ride, you can pretty much just leave it all hanging out, and then everything’s fixed. If we lose a motor—we have a spare gearbox and stuff, but if we lose a motor, then we’re done for that event. So we have to be very cautious of that. And I think that affected our performance a lot. I think that the last round we should have been in the main. I felt like we should have been into the main in New Hampshire, but like I said, there were some growing pains that we were going through there. I feel that we’ll be stronger in the future, and a consistent player into the main. We saw a couple of major accidents by other privateer teams in the final two rounds of the season. You’ve said you’re pretty confident with the jump, but did you ever stop for a minute and rethink that in the wake of those incidents? It’s really never been a problem for me. I just try to look at it as, I have a little bit of experience on motorcycles, so I think once you’re committed to that jump, you have to fully be committed. I would say that those accidents were situations where those guys weren’t completely, fully committed to that jump, and I believe that they somewhat panicked. Once you commit to doing it, you have to be fully committed and just do it. In my opinion, on the jump, everybody’s so worried about that crucial speed. I don’t think it’s the crucial speed as much as jumping is a feel thing—you try to do it from the seat of your pants. But it’s never really been a concern for me. Maybe I’m not smart enough to think that much ahead! (laughs) But I think the jump is something that we’ve done (for) years and years at X Games, and to me it’s a little bit old hat. It doesn’t mean that we can’t make a mistake on it, everybody can make a mistake, and it’s an unfortunate thing. I hope those guys recover from it well and it doesn’t deter them from coming back. But for me, you commit to it, you do it, and you don’t think any more about it. The more you think about it, you psyche yourself out. The GRC obviously grew and expanded over the course of the season, and the series looked different in the finale at SEMA than it did in the opener at Charlotte. Overall, how do you think they handled race promotion and safety this year? I think all the guys at GRC did a really good job with communications this year. What I don’t think everybody remembers is that those guys have a huge job that they’re doing and there’s so much that they need to look after. With everything there’s always growing pains. I think that as far as safety goes, if that refers back to the accidents that have happened this year, the thing is so new that there’s always going to be stuff that’s unforeseen, or that needs to be looked after. They have made adjustments, and I think they’re always looking for adjustments. But I think when you look at the safety, you look at a European rallycross car, which was never meant to do the jump, or meant to be in the tight confines that we are putting these cars in. I think these cars, with the GRC stuff, will progress, be a little bit stronger, and progress in the safety features of the car. But everybody that’s really had some big crashes has come away—I wouldn’t say unhurt, but for the type of crash that they’ve had, they’ve come away pretty good, in my opinion. I think that they’ve definitely looked at it. I think the guys at SMI, when we went to New Hampshire, did a great job of putting on a great show, and I thought they did a pretty good job down there at Texas. And they started to implement the dirt. When we started the season at Charlotte, we didn’t really have any dirt, and we went down to Texas and didn’t have any dirt, but we had the jump. And it’s progressively gotten better every event. And I think the more obstacles that you put in with these cars, you’ll see what they’re really capable of doing. But when we went to Charlotte, you didn’t even see a quarter of what the car can do, compared to later in the season, when they started to show a little bit more of their capabilities and they got to be way more exciting to watch. Finally, what are your thoughts on the 2013 season? Are you planning to build a new car or bring back this year’s model? What are your thoughts on the schedule for next year with the Global X Games rounds? The Global rounds sound great. There’s still a big question of who’s going and who’s not going. Those dates are approaching very fast. Our plans for next year are, we’re planning to build a new car. We’re still trying to secure the money, the sponsorship to finish the build of the car, we’ve actually already started on the car. I really don’t want to say what kind of car it is at this time, but we have started on a new car. It’s just, if we can secure enough money to complete the car. 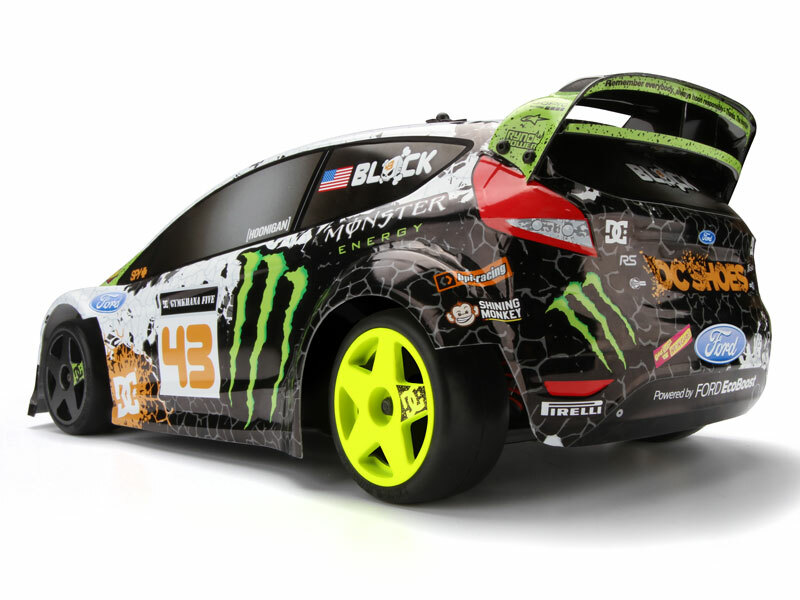 If that would be ready for the first couple of Global Rallycross (rounds) or not, I’m not sure. It depends on the finances of the whole thing. But we feel that the current car is too big of a car, too heavy of a car, and the H-pattern gearbox is not going to make it a competitive car. It’s a decent car, but the plans are starting with a new sheet of paper, so to speak, putting the new car together, and making it something that’s very competitive with the Fords. Pat Moro can be found on Twitter @59moro. PMR Motorsports maintains a Facebook page, Twitter @PMRMotorsports, and website. Michael Crawford Motorsports, which provided a marketing partnership for Moro in the second half of this season, can be found on Facebook here. 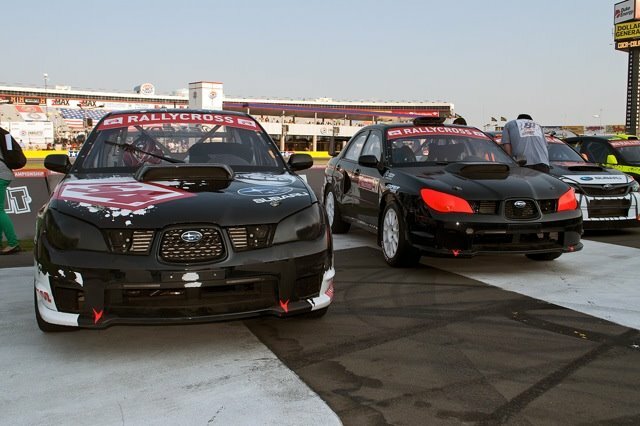 Running a competitive team in the Global Rallycross Championship isn’t the easiest of tasks, even for a factory-supported organization. But Ohio’s Pat Moro, a longtime Rally America competitor and two-time Production GT champion in that series, is attempting to do just that with his privateer team, PMR Motorsports. Campaigning the No. 59 Subaru WRX STi in five of six GRC events this season, Moro carried the backing of S4 Optics earlier in the season before entering a marketing partnership with Michael Crawford Motorsports later in the season. Las Vegas and SEMA saw PMR representing brands like Venom Energy, In-Vest USA, and VP Racing Fuels, all while posting some of its most competitive runs of the season. Despite running with a fraction of the budget that the top GRC teams possess, Moro’s team appeared to be on the verge of breaking out. 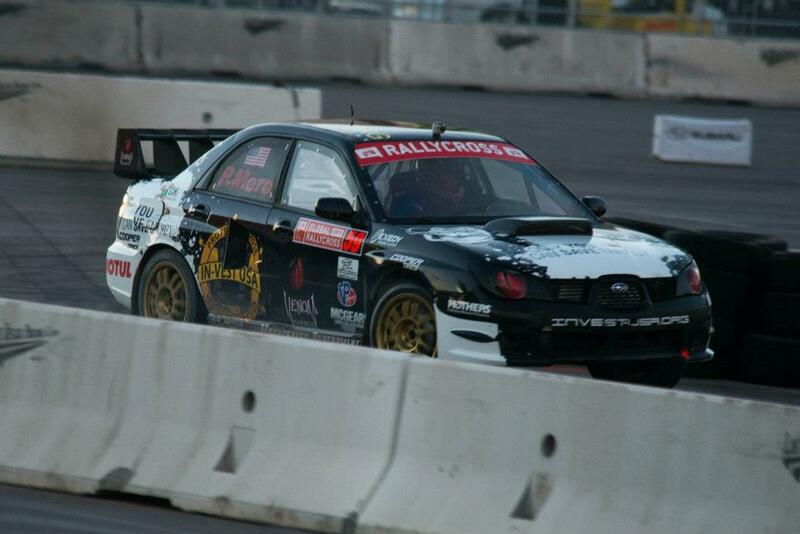 You’ve been competitive in stage rally for years, but this year your focus was completely on rallycross and the GRC. When did you decide to make that switch, and how different are the cars you’re racing now from the ones you prepared for Rally America? 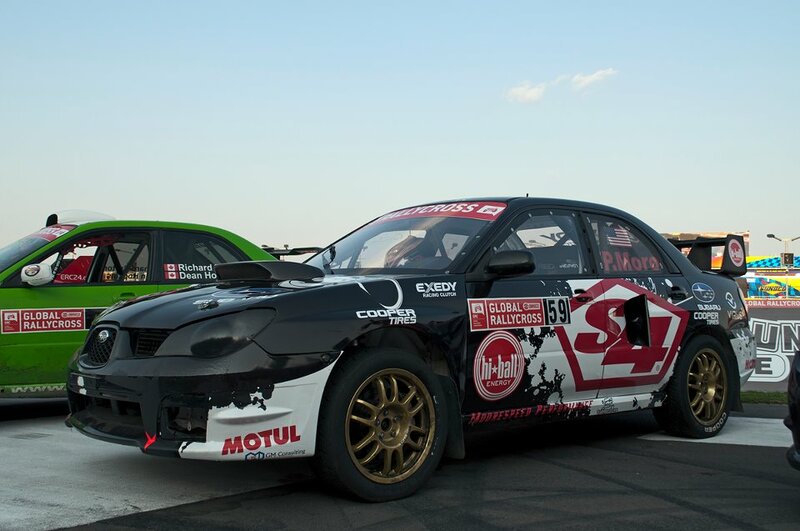 These cars—we have two cars that we pretty much put together originally for rallycross, because in stage rally we’ve always done the production-based class cars. 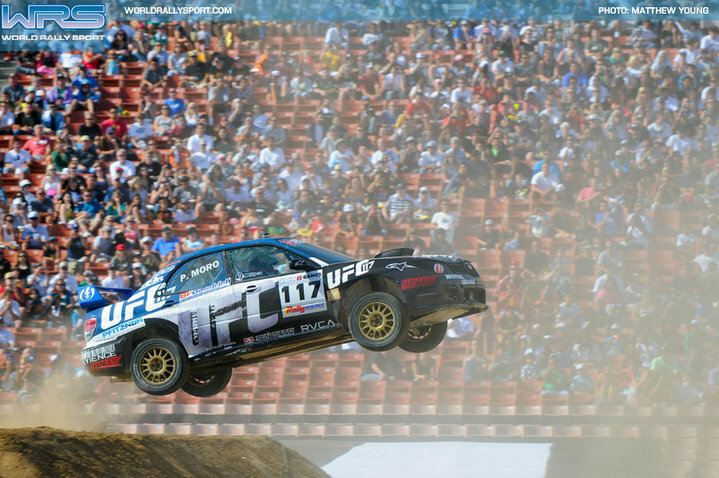 That’s one of the issues with going to X Games, we’ve always qualified in a production-based car, (instead of) an open class car or a rallycross car. We actually built those cars two years ago and then made some other changes to the cars to make them more competitive for rallycross. We pretty much figured at the beginning of last year that we were going to start focusing on rallycross and drift away from stage rally, which was a hard decision for me to make because stage rally has always been a pretty near and dear thing to my heart. We figured that this is the avenue that’s going to have the most growth for us and the direction we needed to go. Some of the sponsorship on your car this year appeared to come over from the Michael Crawford Motorsports organization. How and when did that partnership come about? We ran into (MCM) at Texas and talked a little bit, and it kind of came about last minute. It’s not really a full done deal by any stretch of the imagination. They brought a little more of a marketing side to us and not so much the technical side. It’s more of a marketing partnership than on the technical side yet because pretty much anything we’ve done we do in-house. So far the technology has been all stuff that we have. You actually ran two cars at Charlotte, one for you and one for Tim Rooney. Was there any benefit from a data-gathering standpoint to running a second car in the season opener? Actually, we found out that with the limited budget that we had, it’s probably better for us to back down to one car. We’re not spending twice as much money to get the other car up to the same things that we’re trying, so we found out that it’s beneficial to back down and concentrate on one car than it is to try and run two cars with the budget that we have. Texas marked the debut of the mechanical jump, as opposed to the dirt jump that we saw at X Games and other GRC events in the past. Did you have to make major adjustments from using one surface to the other? You know, I didn’t think it was that big of a deal at all, because your trajectory is pretty much the same. When your car leaves the ramp, you’re pretty much just a passenger at that point. The only thing that was a little bit different was the dirt absorbs the jump a little bit better when you land on it, so it’s a little bit smoother of a landing. It’s a little bit harder (on the ramp), but it was no problem to adjust to it at all. 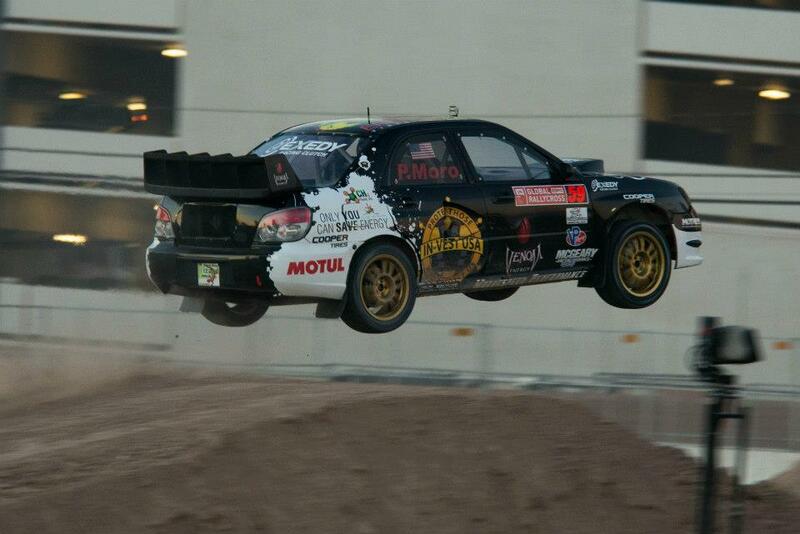 The question arriving at the SEMA event was, what speed do you have to hit the jump at now that we’ve gone back to dirt? Pretty much all that stuff stays the same. So for me, at least, it wasn’t a big change for me to go from the dirt to mechanical, and the mechanical back to dirt. I thought it was pretty similar for us. We’ve seen you compete at X Games plenty of times before, but this year it was the only round of the championship that you missed. Why weren’t you there, and was it frustrating to skip a major event like that? That was more of a financial situation there for us. An opportunity came available for us if we sat back, it became a little bit better financially for us to not be there. It was a little frustrating because obviously you always want to be there and competing, but it worked out and gave us a lot more strength for the end of the season. It gave us money to finish out the season a little bit stronger than what we had. It definitely seemed like the car was a lot faster in the second half of the season. Were there any significant changes that you made to the car as the season progressed? A lot! Being that we had a limited budget, we don’t really have a budget to be doing testing. So all of our testing is actually at the event. When we were at New Hampshire, we thought we had some things figured out—there are a lot of things to learn about the rallycross car compared to the stage rally cars. These cars were a measuring stick, but we made a lot of changes from there. The biggest change and the biggest help, I have to give some credit to Garrett. They came on board, stepped up, and helped us out with their engineering and some different stuff with the turbos. So at the last round the car was pretty competitive, a lot closer than it’s been at any of the other events. I have to give credit where it’s due. Our guys are understanding the car more, and the more we log that stuff and play with those numbers the better it’ll get. I think the biggest difference in competitiveness with the car right now is we’re running the H-pattern gearbox, and everybody else is using a sequential. So I think that’s our biggest downfall right now. Coming up, Moro discusses the second half of his season, going back to the dirt jump at SEMA, and his thoughts on the 2013 season.